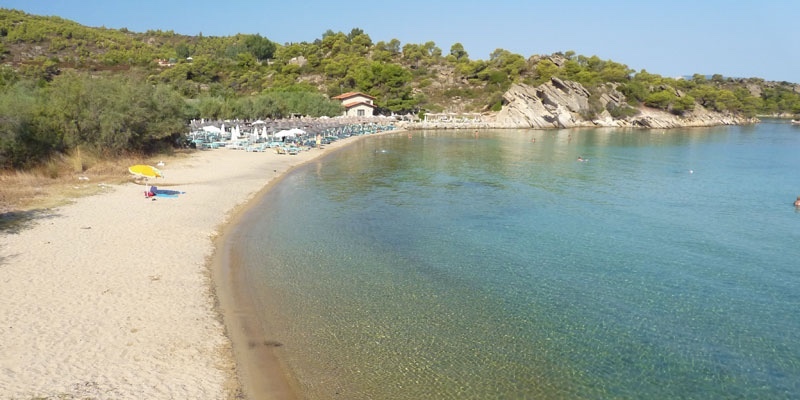 Talgo beach is a small sandy beach organized by a beach bar that is one of Halkidiki’s most popular concert destinations. In between Ormos Panagias and Vourvourou, this beach fills up with young people that come from all over Sithonia looking for a party. The beach bar organizes half of the beach with sun-beds and umbrellas that come with a minimum for ordering drinks and food. On weekends the crowds are big as people come to be entertained with concerts, which are advertised everywhere on posters. The beach is sandy with shallow water. There are some pebbles in the beginning but then turns to a sandy bottom. The water is calm and well sheltered from winds, so if it is windy anywhere else you can always come to Talgo for escape. 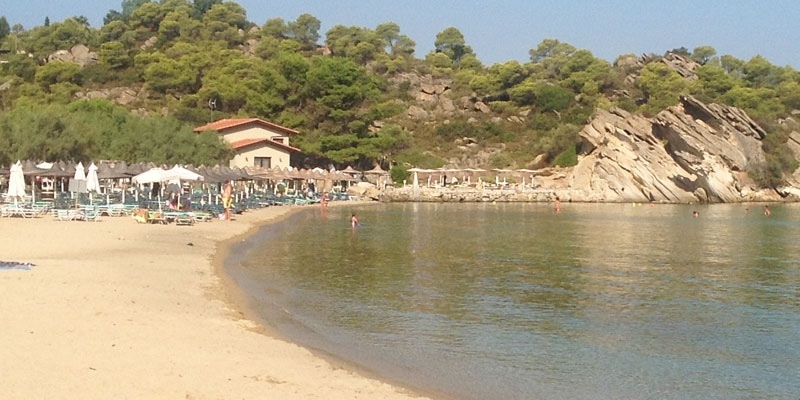 The south half of the beach is free from sun-beds, so you can put down your towel if you prefer. Quite the party and concert scene. Good calm water for swimming. Gets crowded especially on weekends. Feel good beach with loud music and a youthful beach. Good place to escape on a windy day.